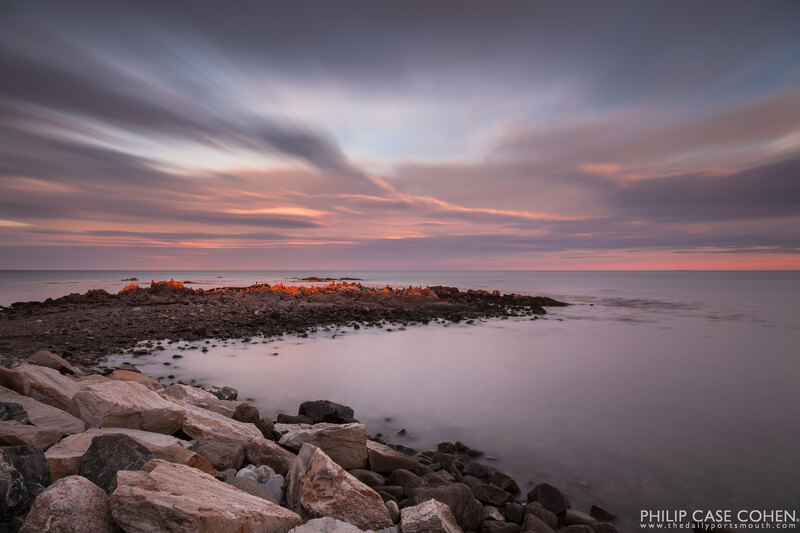 Sunlight illuminates the coastal movement in the water and the clouds at the oceanfront in Rye. The Wentworth By The Sea grand hotel sits on the shore of the Piscataqua River and the Atlantic Ocean in New Castle, NH. The gorgeous historic building basks in the glow of the late fall light. 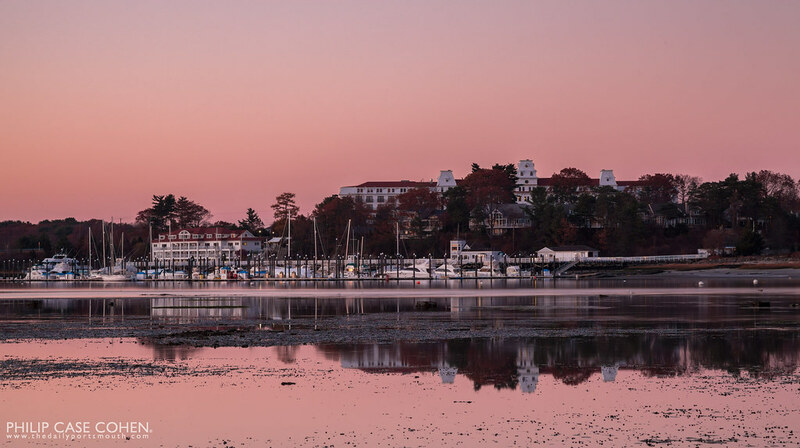 The Wentworth Marina can be seen in the foreground with its warm weather seasonal visitors mostly gone for the year. 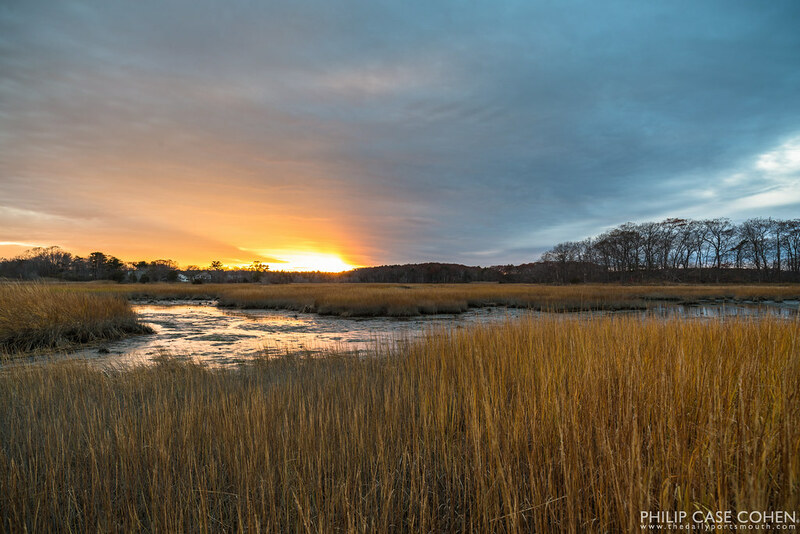 A beautiful fall sunset over Seavey Creek in Rye, New Hampshire. 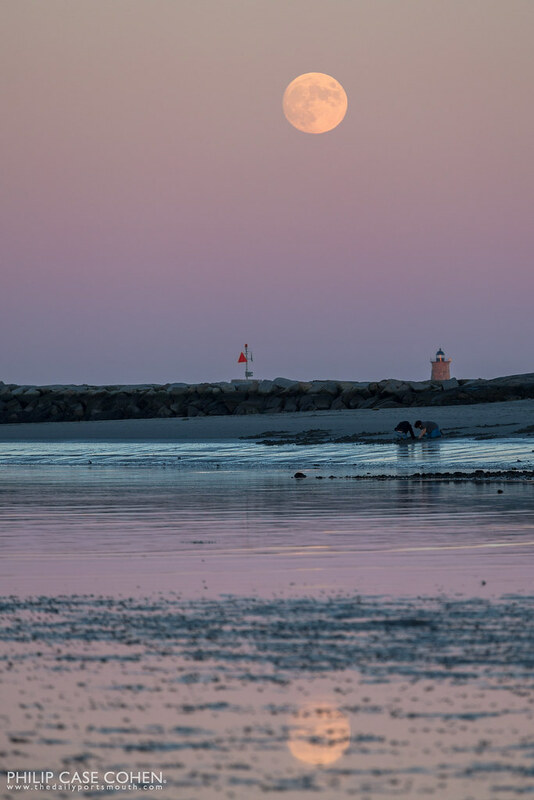 One of my favorite scenes of Portsmouth in the shadows of sunset. 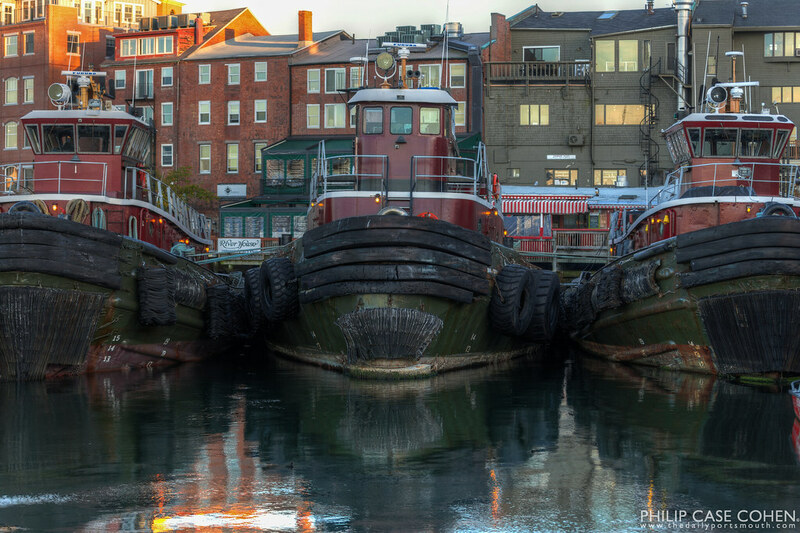 The Moran Towing tugboats are the silent residents and workhorses of the Piscataqua River. 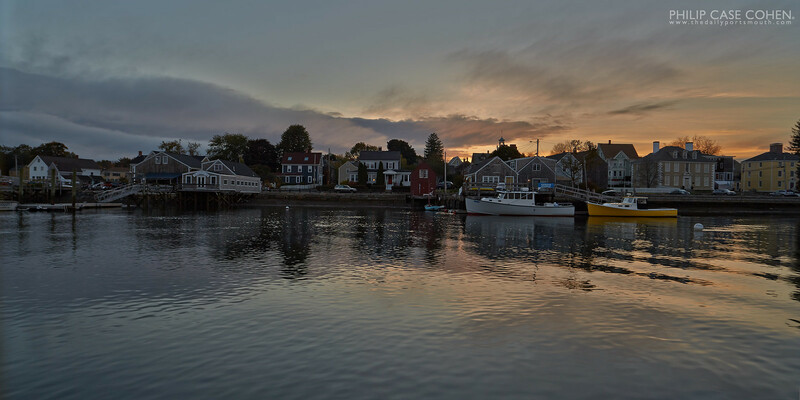 Day’s end in the South End. 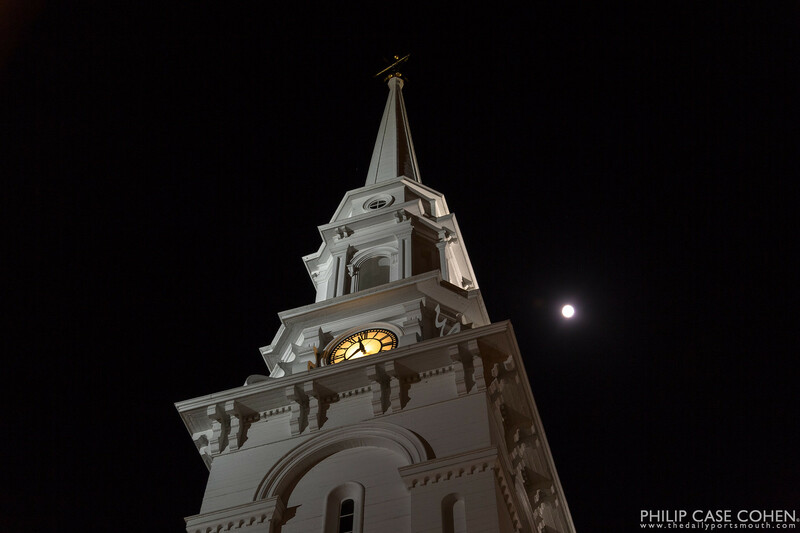 The North Church steeple stands tall from this vantage point in Market Square with a full moon in the distance. While views of the steeple may be blocked from certain places around the downtown, the steeple looks most beautiful amidst its surroundings in the heart of Market Square.